Overlooking the marine blue waters of the Northern Lakes, this magnificent Lake House estate indulges every sense. See Toronto's best kept interior design secret. See the absolute mastery of interior design. 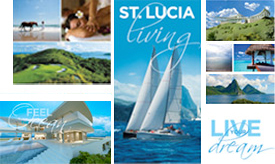 Overlooking the topaz waters of the Caribbean, the magnificent Sails of St Lucia estate indulges every sense. An unrivalled retreat on the Caribbean. Peek inside this house of superlatives in a city that overflows with superlatives. 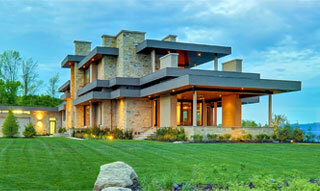 Maximizing lake views help potential buyers visualize their investment. 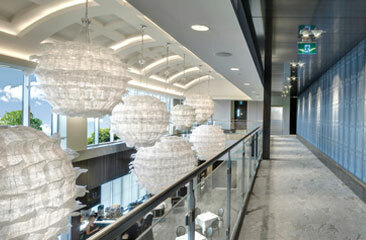 Borrowing from the richness of the Art Deco period, FDM Designs creates a signature lobby for the Uptown condo. You'll want to call this modern, trendy condo home. This Atlanta Georgia Model Home is set in a naturally wooded site called Kyle Farm. The FDM premise is simple: we demonstrate lifestyle so you can sell homes. Chockful of great design ideas, the Eau de Soleil model suite is a home buyer magnet. 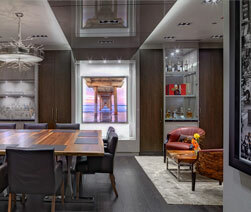 FDM Designs demonstrates five totally different looks for a cornucopia of model suites. This state of the art innovation centre, designed by FDM Designs, is host to scientists, politicians and energy analysts from all over the world. 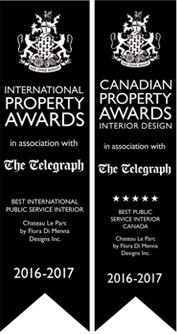 Clarity and elegance of space designed for this leading Canadian provider of independent real estate investment and management expertise. 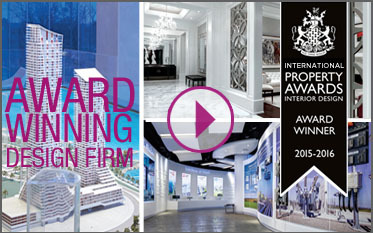 See how a clearly defined brand translates into the design of interior space. Beautiful new corporate offices for a longstanding family-run business. Fusing classic style with contemporary concepts, FDM Designs captured the unique essence of this business in a way that makes a lasting impression on all who step through the door. This exclusive golf club with its five star experiences shows how wide ranging FDM Designs' capabilities are. Several exclusive hoteliers, including Marriott and Chateau Le Jardin, have sought FDM Designs to create their deluxe interiors. Asked to design a garage built especially for a Ferrari, FDM draws on her own adventurous spirit to create a unique space for a unique car. When it comes to re-imagining space FDM Designs has it hands-down. 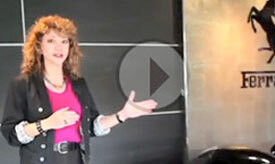 See what she pulled off with a utilitarian Go Transit coach. 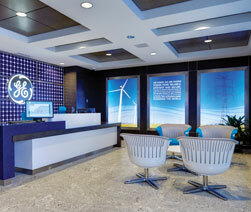 The GE INNOVATION Centre isn't just a corporate office – it's a research and development facility that attracts people from all over the world. 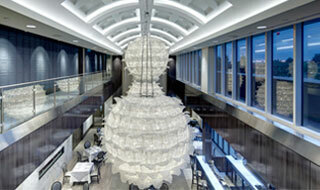 See how FDM Designs took it up a notch or two. FDM Designs created a beautiful décor centre to make the home buying experience even more exciting. Empire Communities, one of the GTA's fastest growing development companies, asks FDM Designs to create its décor centre to help buyers make smarter new home choices. Private Residence, "Lake House Residence"
This luxurious weekend home was crafted to complement the natural landscape surrounding it. By meshing earthy style with innovative design, the space is an organic addition to this serene lakeside landscape. Public Space, "Chateau Le Parc Event Centre"
This renowned soiree space was brought back to life with FDM Designs’ signature classic-meets-contemporary style. Bold lines, crisp colours and eye-catching accents were brought together to create this space- an idyllic backdrop for the 21st century fairytale. "General Electric Global Head Quarters"
Since its establishment in 1987 under the creative direction of Flora Di Menna, this Toronto based Interior Design firm has garnered numerous awards for excellence in design for luxury residences, model homes and suites, corporate offices, and Condo amenity, sales centre and public spaces. 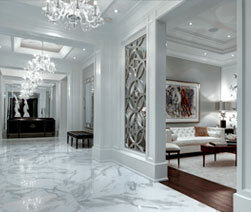 Flora Di Menna and her team are renowned for their lavish interior designs executed on time, and on budget. But clients also know and love them for the flawless execution of those designs, thanks to the comprehensive planning, obsessive attention to detail and wise choice of furnishings that are usually custom designed by FDM. Fusing classic style with contemporary concepts, FDM Designs captured the unique essence of this business in a way that makes a lasting impression. 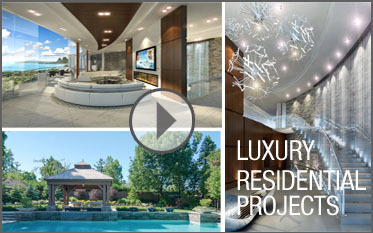 Many of FDM’s very best projects have been captured on video. These spectacular St Lucia homes demonstrate why FDM Designs is in demand globally.